Heathhall Garden Centre in Dumfries is one of three garden centres owned and managed by the Barr family. Our other centres are Whitesyke Garden Centre at Longtown and Moffat Garden Centre at Moffat . 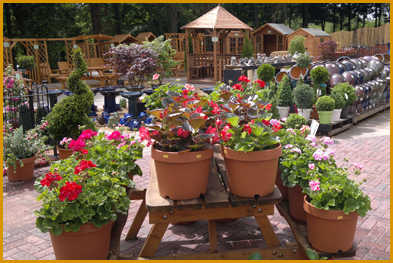 We are committed to offering a wide variety of quality plants and consumer products. Our experienced horticultural staff are on hand to answer your gardening questions. 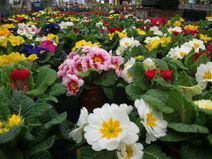 We stock only the highest quality bedding plants for wonderful displays of colour the whole year round. Whether it is for hanging baskets, containers or to plant out your borders, a huge selection of upright and trailing plants are available individually or in pack for summer and winter displays. Our expert staff are always on hand to advise you. A wide selection of shrubs, conifers, herbaceous, alpines, heathers, trees, fruit bushes, herbs and hedging are available throughout the year. Our Pat's Pantry coffee shop at Heathhall Garden Centre offers a selection of delicious light lunches, including jacket potatoes, and paninis (toasted baguettes). Our sandwiches and toasties are freshly made to order with an exciting range of fillings. Popular promotional meal deals change throughout the seasons not forgetting our ever popular homemade soups. We have a large selection of mouth watering treats including cakes, tray bakes and scones baked daily. Our beverage selection includes, latte, cappuccino, and espresso, a selection of twining speciality teas and general soft drinks. A must see within Heathhall Garden Centre is the south of Scotlands largest purpose built pet & aquatic department, with everything you could ever need for your aquarium, pond, small animals and birds.